Women are preparing for an annual march and rally Saturday, with hundreds from Sahuarita and Green Valley expected to join thousands more across the world to continue demands for equal rights, protections and to have their voices heard. The Women’s March on Washington in 2017 saw an estimated 500,000 to 1 million participants along with millions more around the world. Green Valley's march, held just days after President Trump took office, drew 400 to 500 people. 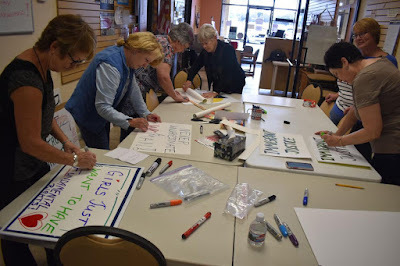 This year's rally on Saturday, January 19 from 11:30 to 1:00 at the corner of Esperanza and La Canada comes days after a record number of women were sworn into Congress.